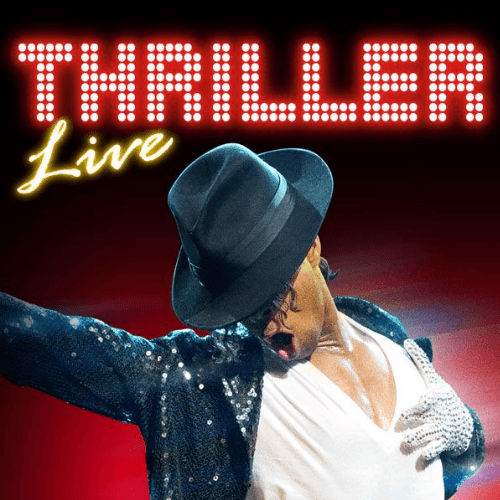 Premiering in the West End 40 years after the Jackson 5 made their Motown debut, Thriller Live celebrates over two hours of non-stop hits from the legendary King of Pop. The original product of Flying Music and Adrian Grant, the acclaimed show remembers the world’s greatest entertainer with dazzling choreography from award-wining director Gary Lloyd and LaVelle Smith Jnr. Not forgetting some multi-media effects and an iconic score including the smash hits ‘Billie Jean’, ‘I Want You Back’, ‘Thriller’, ‘I’ll Be There’, ‘Can You Feel It’, ‘Rock With You’ and ‘She’s Out Of My Life’. The ultimate celebration of Michael Jackson’s musical legacy, Thriller Live charts his musical journey from his early afro-toting years in Jackson 5 to his moonwalking, crotch-grabbing adult best. With such big shoes to fill and a four-octave range to recreate though, his role has been divided up between five performers. Kieran Alleyne, who plays Michael Jackson in his early years, followed by Ben Foster, John Moabi and Roger Wright who perform the songs from the years that followed. Ricko Baird, who was lucky enough to have some training and dancing experience with Michael Jackson before his passing, finally concludes with some of those signature Jackson glides, body shuffles and the moonwalk. Ignoring the controversy and fame that surrounded Jackson’s life, Thriller Life is simply a fitting tribute to one of the most iconic musical talents and what is still the world’s best-selling album of all time. So what are you waiting for? Beat it!